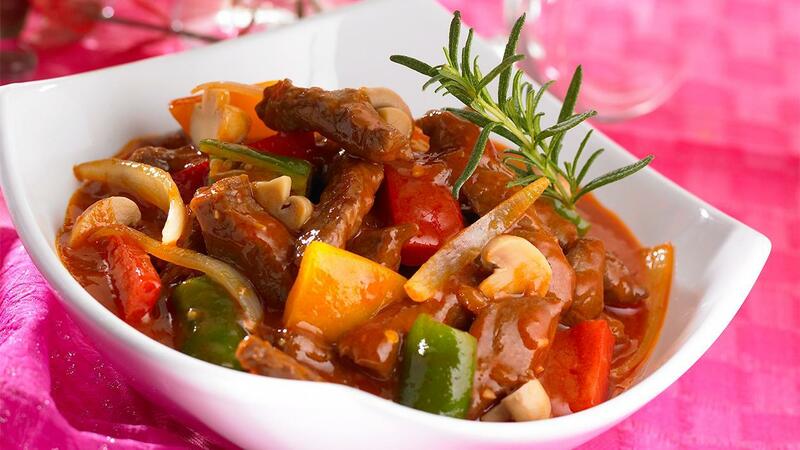 Fillet Goulash is very delicious when served hot, it nice to eat with rice. The taste will be unforgettable to indulge your customers. Saute onion, garlic and beef tenderloin until golden brown. Add mushroom, KNORR Tomato Sauce and add water then stir well. Add gree, red and yellow paprika. Fillet gaulash is very delicious when served hot, it nice to eat with rice.